This course is composed of a one or two day practical session (depending on experience) for those involved in the day-to-day maintenance and use of Brush Cutters/Strimmers. 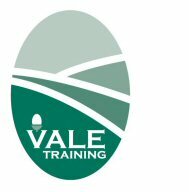 At the end of the course trainees will be able to understand their responsibilities, both to themselves and to others, under the Health and Safety at Work Act, as well as being able to use and maintain a Brush Cutter/Strimmer efficiently and safely. Cost: £145 + VAT including integrated Lantra or NPTC certification for one day course. A 2 day course may be required. Please contact us for dates and prices. NPTC independent Assessment: £145 including registration. Other dates abailable on application. Next Steps: Lantra can lead to N.P.T.C.